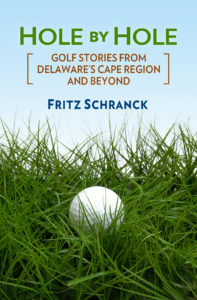 The First Tee of Delaware is holding a Free Kids Golf Clinic in the Cape Region on September 30. The Rehoboth Beach Boys & Girls Club will be sending a contingent to the clinic, held from 4:15 p.m. to 5:15 p.m. at Rehoboth Beach Country Club. Scott Allen, who is spearheading the event with other First Tee-participating golf pros, says there will be plenty of other spaces for local junior golfers. The First Tee is a great program that enjoys wide support from all golf sectors, from club and ball makers to golf pros to local golf associations, as well as the USGA, PGA, and LPGA. The clinic curriculum emphasizes not only golf but also important life skills, which of course golf in its better moments certainly can provide. For more information, contact the First Tee of Delaware at 302-384-8759, or email to scott.allen@thefirstteedelaware.org. The seventh annual Patriot Golf Day is on tap for this Labor Day Weekend, August 30-September 2. It is a great opportunity for Cape Region golfers to show appreciation for the sacrifices made by our nation’s men and women in uniform. The Foundation was created and continues to be spearheaded by PGA professional Dan Rooney, who himself did three tours of military duty in Iraq. At participating golf courses throughout the country, golfers can donate funds to be used for college scholarships for U.S. military dependents, who have had a spouse or parent killed or disabled in action in Iraq and Afghanistan. Thousands of golf courses participate, and over 3,500 scholarships have been awarded using the more than $17 million raised from the event. As in prior years, several Cape Region and Sussex County golf courses are setting up donation sites for golfers, through the entire Labor Day weekend. These include Heritage Shores Golf Club in Bridgeville, Baywood Greens Golf Club in Long Neck, The Peninsula Golf and Country Club in Millsboro, The Rookery Golf Club South in Milton, Bear Trap Dunes in Ocean View, Kings Creek Country Club, Rehoboth Beach Country Club, Hoopers Landing Golf Course in Seaford, and Bayside Resort Golf Club in Selbyville. For more information, go to foldsofhonor.org. You can also make a direct donation to this address: Folds of Honor Foundation, 5800 N. Patriot Drive, Owasso, OK 74055. It is often said that ignorance of the law is no excuse. This is usually true, and is also why some people can find themselves in deep trouble, for example with their tax returns and their friends at the Internal Revenue Service. On the other hand, the United States Golf Association occasionally surprises its critics by not slavishly following this principle, as in this recent example from its Rulings of the Day. In a match, a golfer lifts his ball to identify it, and his competitor sees him doing so. However, the golfer doing the lifting didn’t formally announce his reason for lifting his ball to his opponent. Failing to make this announcement normally calls for an assessment of a penalty stroke. However, neither he nor his competitor even knew that this formal notification is a part of the ball-lifting rule. At the end of the match, the situation comes to the attention of the club’s competition committee. The question then arises whether both players should have been disqualified. After all, under Rule 1-3, players should be disqualified for agreeing to waive a penalty. Not so fast, according to the USGA. The association noted that these two players were never aware that a penalty had been incurred. Under those circumstances, there was no agreement to waive the penalty. If either of these two golfers ever needed to lift a ball for identification on a later occasion, however, I think we’d be hearing the announcement loud and clear.